Here’s a sneaky bit of video piracy. 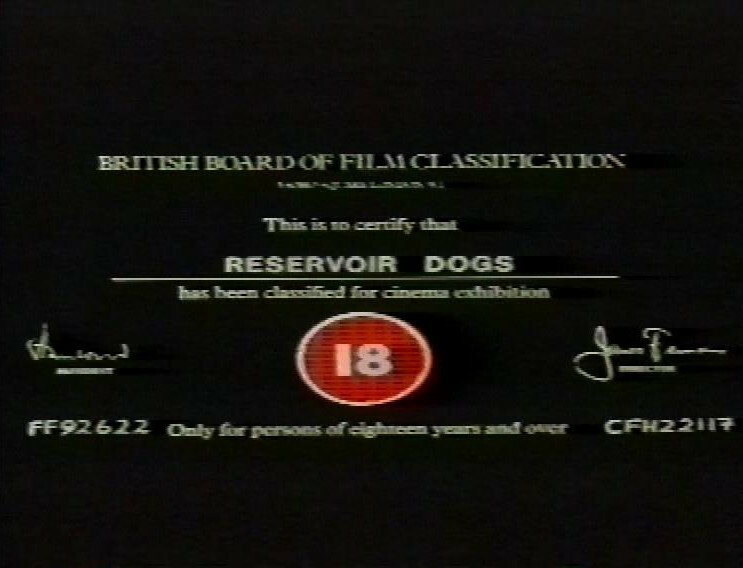 Remember when Reservoir Dogs was the most violent film ever made, and it would spark a wave of copycat violence if people were to watch it outside of the safe confines of a cinema? No, really, that’s what you might have thought, when the BBFC refused for a long time to grant it a certificate on video. But I got this recording early through a sneaky (and rather sad) manoeuvre. At the time, I worked for a software house called Computer Concepts, and we regularly attended computer exhibitions. There was a regular Acorn-based show up in Harrogate, which was a long way from our base in Hemel Hempstead, so we all went up by coach, and stayed in a hotel. Obviously, being away from home for two or three days was stressful on my recording schedule. So I decided to take a VCR with me to keep in the hotel. And when I got there I found that Reservoir Dogs was one of the movies playing on the hotel’s channel, quite a while before its video release. 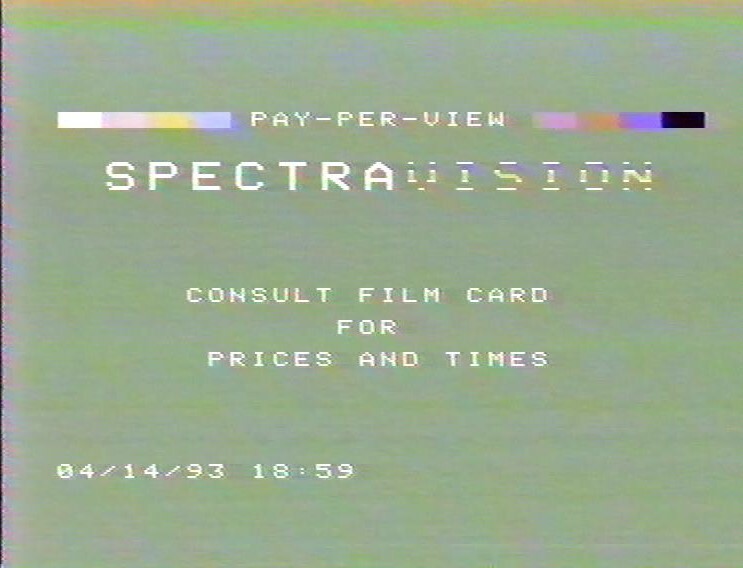 From the look of it ‘Spectravision’ might well have done their graphics on a ZX Spectrum. Nice to see that they couldn’t even be bothered to set the date format to UK DMY. But at least this accurately dates this tape to the 14th April 1993. Look at the quality, though. Here’s the BBFC certificate – it’s the one used in cinemas, not a specific one for hotel video or anything. It’s still an impressive film, although I remain disturbed by the hideous racism of the characters. I know they’re supposed to be ‘bad’ people, but they’re also the stars of the movie. I’m so middle-aged. When the film was released, there was such a reaction to the violence, and yet the amount of violence you actually see is fairly limited. The worst scene, when Michael Madsen’s Mr Blonde tortures the policeman and cuts off his ear, is implied but not shown. The camera actually pans away from the scene, making it clear we’re not seeing it, and yet people were convinced that you see the ear being sliced off. Long before this, Texas Chainsaw Massacre had a similar effect, with people convinced they’d seen more than was actually in the film. I’m definitely more disturbed by the relentless racism of the characters. Plus that behaviour is a million time easier for viewer to copy than the violence, which is so much outside most of our experiences that it almost might as well be slapstick. But I know I’m a wet, woolly liberal. There’s nothing else on this tape except the movie.